Environmental issues have taken center stage at protest rallies in Russia over the past year, with citizens drawing attention to concerns including landfills, air pollution and a proposed water bottling plant at Lake Baikal. The HSE survey said 94 percent of respondents saw environmental pollution as a pressing concern, the Kommersant business daily reported Monday. Five percent acknowledged the issue, while 1 percent denied that environmental issues exist in their regions. Asked to specify, 83 percent of HSE’s respondents named damage caused by landfills as a critical problem, followed by the state of bodies of water, forests and the air. Concerns about air pollution were shared by respondents from Moscow and eight other regions, Kommersant reported. The head of HSE’s environmental policy institute, Boris Morgunov, said opinions toward the environment vary widely among Russian regions. 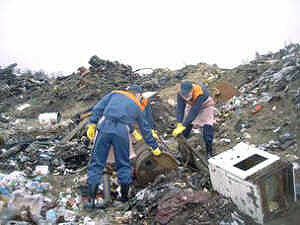 HSE carried out the survey among 10,400 respondents between late February and mid-March, Kommersant reported.